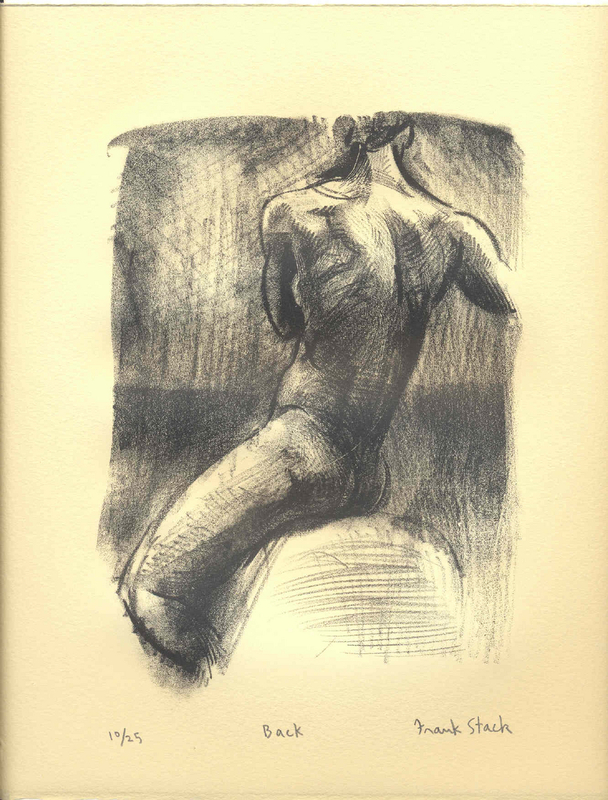 This original hand-pulled, pencil-signed lithograph represents a female drawn from behind. Using the old-master technique of lithography (invented in the 18th century) the artist creates layers of value that result in a tonal image with painterly qualities. Image size: 8" x 6". Sheet size 11" x 10".